Vax vacuum cleaners are designed to make cleaning less of a chore. Each Vax vacuum cleaner will make light work of the dust and pet hairs that can gather on your floors. If you have children or pets, you’ll know how hard it is to stay on top of the cleaning, but a Vax vacuum cleaner can make a big difference because they are easy to run around the house and will leave your floors spotlessly clean. 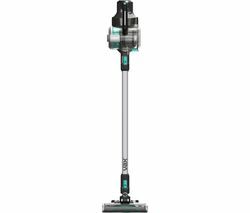 You can vacuum hard floors, laminate or carpets with a Vax vacuum cleaner so you can do the whole house with ease. When you choose a cordless Vax vacuum cleaner, you won’t have to worry about tripping over the lead or plugging it in and out every time you move to the next room. And if you’re looking to make it even easier to vacuum, choose a bagless variety, and you’ll save money and time as you won’t have to bother with vacuum bags. If you’re looking for a top of the range vacuum cleaner for your home, try a Dyson vacuum cleaner. And if you’re looking for an affordable cleaner you can rely on, check out our collection of Hoover vacuum cleaners. 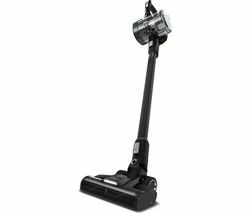 When you want to make cleaning your home easier, Vax vacuum cleaners are ideal.